It’s ice fishing season! Our Forest River Cherokee Ice Caves for sale are calling your name, so what are you waiting for? Grab your fishing buddies and hit the road! Our Cherokee ice house travel trailers make for lightweight towing and are easily positioned directly on the lake. 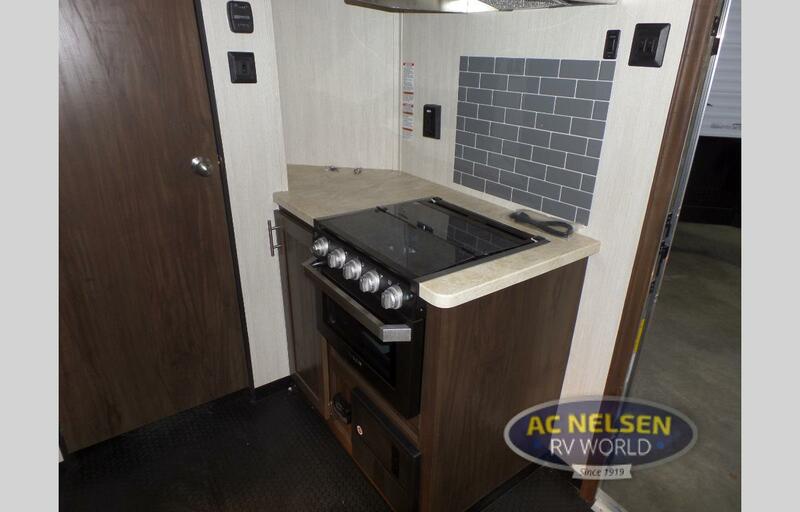 With eight fishing holes throughout the trailer, you’ll have a better fishing trip than ever before! 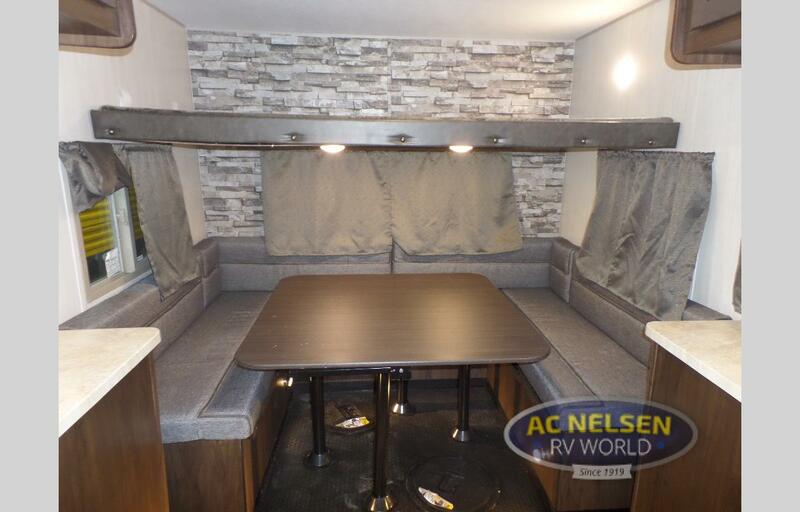 Our Cherokee ice houses sleep 3 to 4, and utilize convertible dinette-to-bunks so you can enjoy space to eat before bunking down comfortably for the night. Large windows throughout and and 8’ width help give a roomy feel to the ice house. 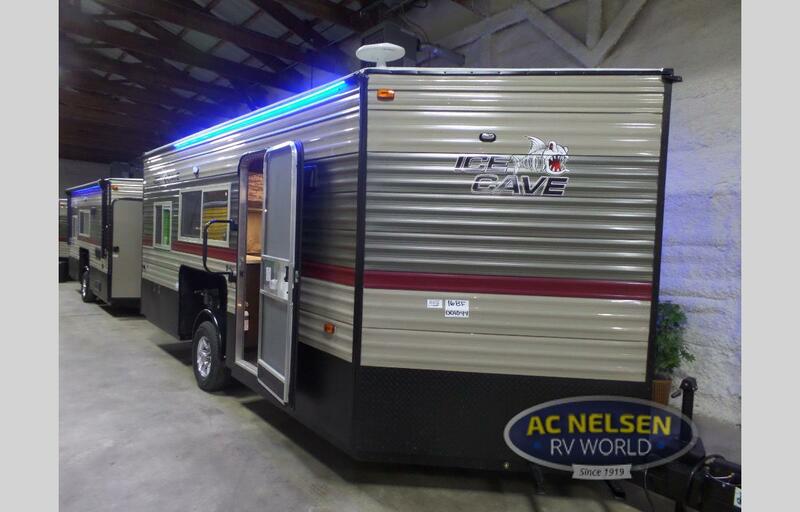 We have several Forest River Cherokee ice cave floorplans available, and multiple optional packages that you can add on, which we haven’t covered here in our Forest River Cherokee ice cave review. We want you to have a memorable fishing trip, so contact us today. Our special financing can get you one of our 2019 models for as little as $159/month with zero down, so contact us today! Your wallet will be happy with the price, and you’ll be happy with your next great catch!